Push on crimp connectors for use on power leads. We offer a range of Pre-crimped power leads. 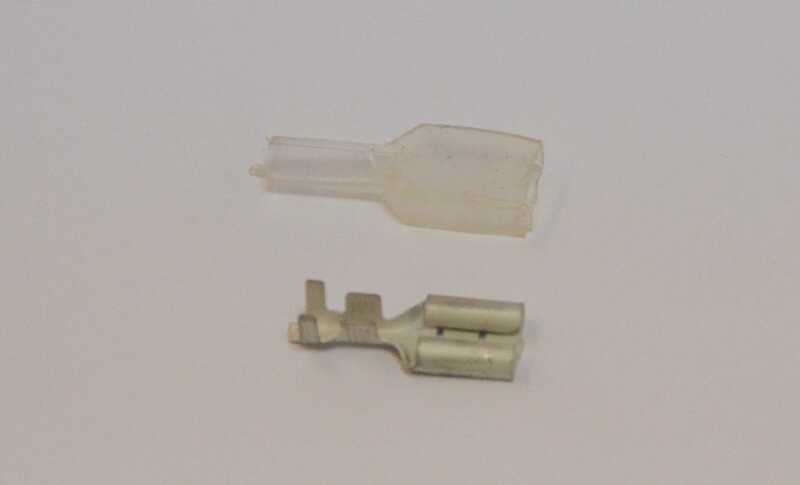 If you prefer to make your own leads, we can supply these crimp connectors together with insulating boots. Please be aware that a proper power crimp should be fixed with a proper crimp tool, but if you wish to make your own leads, with care it is possible to crimp these with a pair of pliers and then solder them.